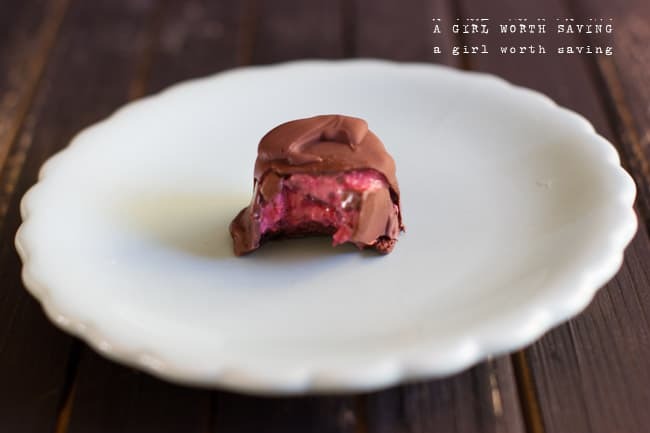 This homemade chocolate covered cherries recipes uses frozen maraschino cherries in a lightly sweet cream that is then dipped in melted chocolate. It’s a bite of cherry perfection! In 7th grade, my then best friend, bought me a box of chocolate covered cherries for Christmas. I only had to shake the box to know what treat she had wrapped in the Christmas tree lined paper. I ripped it open, which made her mad since I was supposed to wait for the 25th, and gulped down three in a row. As soon as I got home, my father confiscated my chocolate covered cherries and that was the end of that gift. When I started working on this recipe, I did not want to replicate the syrup in the store-bought ones that I used to love. First, that is a ton of sugar that no one needs to eat. 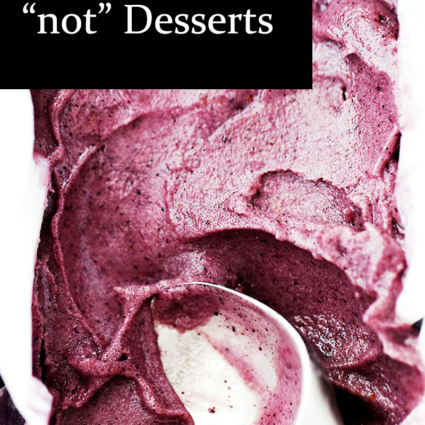 I ended up with a delicious creamy consistency that just rocked my socks off. Can I make these chocolate covered cherries vegan? Yes, you can but I made this using the Ghirardelli 60% Dark Chocolate Chips and it was a cake walk compared to when I used the Enjoy Life brand. The Enjoy Life brand just got super sticky and it was tough to coat the cherries. You could try tweaking it with coconut oil to make the process a little easier. 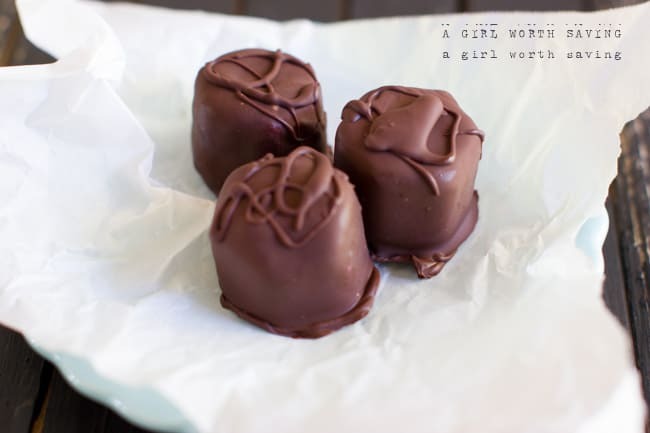 Homemade chocolate cherries with the perfect creamy center! 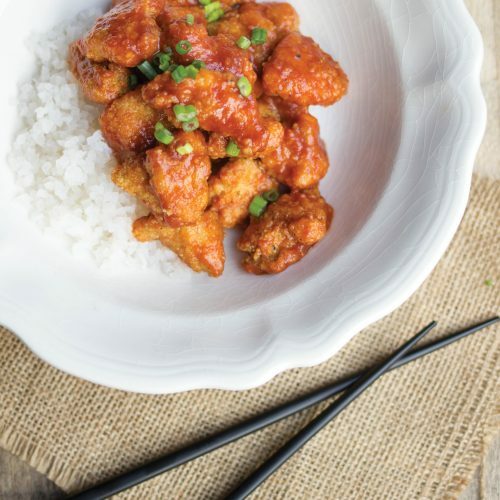 Made with real food ingredients, you will love every bite. First, place 14 frozen maraschino cherries in the silicone ice cube tray. Set aside. Next, place 20 cherries, the coconut oil, honey, sea salt, vanilla and honey in a medium pan and bring to a boil. In the pan, mash the cherries with a potato masher to help break them up. Cook for 3 minutes and then add in the tapioca flour. Cook for one minute. Break out your stick blender or pour the mixture unto your blender and pulse to for 1 minute or until the filling is completely smooth and blended. Pour the filling over the cherries in the ice cube tray. Place in your freezer for 8 hours. Remove the frozen cherry filling from the tray and set back in the freezer until you are ready to coat them. In a saucepan and 1 cup of the dark chocolate chips and melt the chocolate. 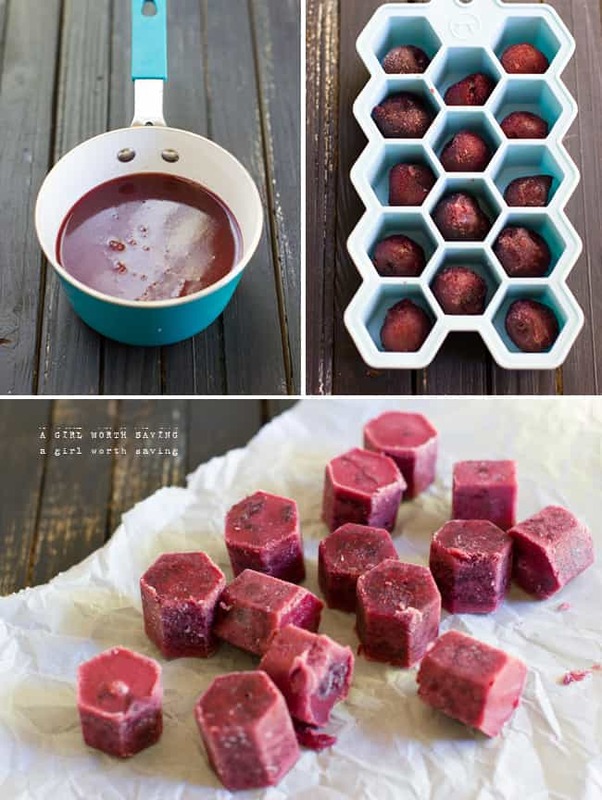 Remove from the heat and then drop the cherry bites in, one at a time, and coat with the chocolate on all sides. TIP: The chocolate will start to firm up after a few cherries have been coated. Set the pan back on the stove top and add more chocolate chips until it is a smooth, liquidy consistency and then let cool for 30 seconds before you continue the process. You will go through the whole bag of chips. Set on a piece of parchment paper and when complete, move them to the fridge. Oh man I’m making these with Raspberries. I’m not a cherry fan but they look awesome! Wow, this sounds great! 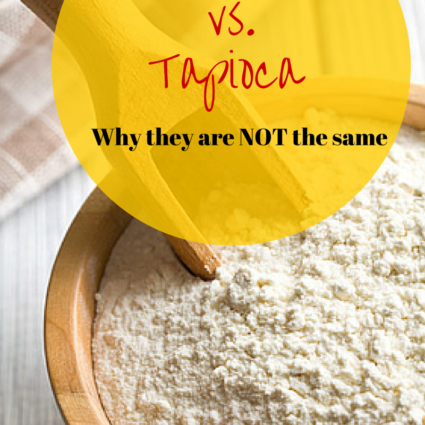 Do u have any suggestions for replacing the tapioca flour? Thanks! Can we try this with grapes? I don’t see why it wouldn’t work. If you make the switch, let me know how it goes. My mom loves Chocolate Covered Cherries but doesn’t eat them anymore because they’re so unhealthy. I’m going to make these to surprise her over the holidays. Thanks for the recipe! Oh those look amazing, we did a Chocolate Covered Cherries Cocktail on the site and it was delish! These look so great! Everytime I see Chocolate Covered cherries i think of my MawMaw as they were her favorite. These looks like a keeper. I love Ghirardella and their brownie mix is to die for. wow!! I love chocolate covered cherries. This looks so amazing! How about making these with blackberries???? That sound good to me! my mom is like you and LOVES these. I might have to think about trying these when she visits for Thanksgiving. These look so good but I think I too would do raspberry or even strawberries. Although, I would still do the cherries too. Aw heck I will have to try them all. These look UH mazing!! I probably would sit and eat half of them in a sitting. You could start a wonderful business with these. They look gorgeous and i bet they taste great. I love the way you swirled the chocolate on top. I always hated those sugary cherries; these, however, look perfect. My husband actually said I should sell these. I, of course, was thinking, when would I have the time? This looks so good and I never would have imagined this was possible at home! My dad loved chocolate covered cherries and I bought him a huge box of them every year for Christmas. I never really liked them but I like what your recipe looks like. The consistency of the cherries in your recipe is far more appealing than anything I’ve seen. This will probably make it to my cookie exchange this year! Thanks! I normally don’t like chocolate covered cherries, but this looks amazing! Oh man, my hubby LOVE Chocolate Covered Cherries, I’m making these. YOu are so creative. Wow! Those look incredibly good. I really need to get out of my funk and try to make some. you have no idea how excited I am over these! Used to absolutely LOVE the chocolate covered cherries in the red box around the holidays. So psyched to try these out! I hope you like them Gina:) I’m making these for Halloween too! Chocolate covered cherries are my dad’s favorite! I think I’ll try to make these for him! Thanks! Oh my goodness, cordial cherries are my favorite holiday treat! It is so hard not to eat the whole box! 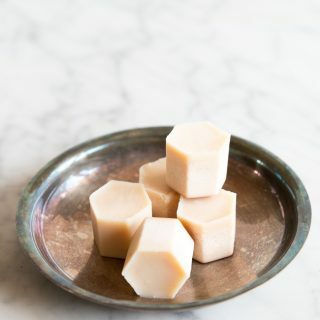 I definitely have to try these, I love that you don’t use sugar : ) I am pinning now to make later! I hope you enjoy them 🙂 I’m making another batch tomorrow. ARE THE CHOCOLATE CHIPS SUGAR-FREE? I WAS WONDERING SINCE YOU SAID THE RECIPE WAS GAPS LEGAL. THANKS. Hi Shannon, hun, I never stated the recipe is GAPS legal. You can however, melt down some 100% Chocolate with honey and coconut oil to make a chocolate coating for the outside. Would love to see more about this recipe since I love dark cherries and chocolate, but on my iPad your Motrin pop-up ads are impossible to dismiss and constantly block my view. Please don’t consider this a rant, rather an observation that would help your readers. Considering how many millions of people are on a tablet device, you may want to consider alternatives to your advertising method/software architecture. I found it impossible to enjoy and browse. I’m guessing I’m not alone. Thanks for your work . Thanks Ed. I should not have pop up ads so I’ll have to see what’s going on with my ad network! wow.. I want some now ! could u put the cherries into the blender for a couple quick bursts to help w/the mashing ? Also.. using a double boiler would help keep the choc liquid until all cherries are coated. Hi Lisa :)Yep, if you check out the instructions, I recommend throwing it into the blender 🙂 Thanks for the tip too! I’ve actally never made it in a normal ice cube tray because I have an ice maker, lol. I would think you could just pop them out easily. I usually buy Tapioca flour in the gluten-free section of my grocery store. You can also try an asian grocery store or Amazon. I hope you like them! I wanted to order some chocolate covered cherries from a chocolate company I like, but they’re only available in stores and won’t ship that particular candy. I’m really looking forward to trying out this recipe so I can have my cherries! There are so delicious and I hope you enjoy them! Hi Kelly! These look delicious 🙂 What is the weight of the chocolate chips? I wouldn’t keep them in the fridge for longer than 4 days hun. Can I freeze them? I made them ahead of time for Christmas gifts. Yes that would totally work hun! So glad you enjoyed them! Hi Kelly! What I could I use in place of coconut oil? I must be the only one on the planet who can’t eat it even though I love it. 🙁 Thanks! You can try avocado oil hun.